This research is focused on molybdate and vanadate removal from aqueous solutions by the liquid-phase polymer-based retention (LPR) technique. 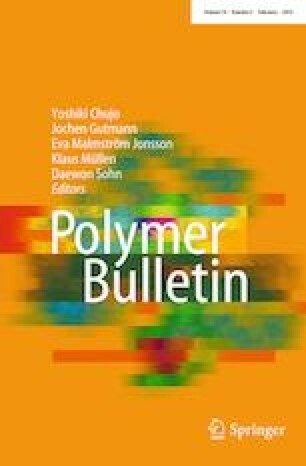 In this technique, a cationic water-soluble polymer based on the ammonium quaternary group poly(diallyldimethylammonium chloride), PDDA, was used as a polymeric sorbent, and a regenerated cellulose ultrafiltration membrane was used as a filter. The removal of molybdenum and vanadium using the LPR technique was analyzed by both the washing and enrichment methods. The removal experiments using the washing method were conducted by varying the pH, polymer/metal molar ratio, concentration of metal ions, pressure and presence of interfering ions. In addition, the enrichment method was used to determine the maximum retention capacity of PDDA. The obtained results showed the highest retention capacity of molybdate (100%, using 30 mg/L in the feed) for PDDA at pH 3 and 9. The optimum molar ratio was 20:1 polymer/Mo(VI). The efficient vanadate retention (approximately 90%) was obtained at pH 6 with 10:1 polymer/V(V) molar ratio. The effect of metal concentration on the retention showed a higher retention of Mo(VI) independent of its concentrations. In the case of V(V), the maximum retention was reached when 60 mg/L of vanadium was used in the feed. The enrichment method showed the maximum retention capacities of 370 mg Mo(VI)/g PDDA and 520 mg V(V)/g PDDA. The presence of interfering ions did not affect the retention capacity of PDDA. These results showed that the combination of PDDA with ultrafiltration membranes could represent an alternative method for the removal of molybdate and vanadate from water. The authors thank FONDECYT (Grant No 1150510). Julio Sánchez thanks FONDECYT (Grant No 11140324) and DICYT (Grant No 021741SP), and VRIDEI, Universidad de Santiago de Chile.